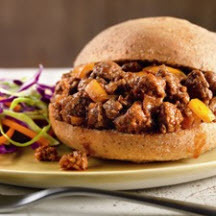 CooksRecipes has quality, kitchen-tested recipes for a large variety of sloppy Joes that you can count on for successful deliciousness. 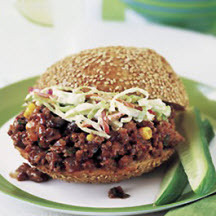 For a quick and easy, family-pleasing meal, serve this tasty classic "loose-meat" sandwich with even easier sides such as deli coleslaw and potato chips. 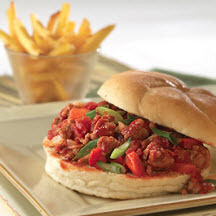 This recipe for the classic "loose-meat" sandwich cooks up ground pork with an intensely flavorful Asian twist.